This year Belfast Fashion Week will host a unique new event for young people! “Style Stories Saturday” has been created to inspire the next generation of fashion. The “Yummy Mummys” will get a chance to view the latest in the A/W trends whilst their kids will be introduced to experts from all areas of the fashion industry to get some insider information on a career in the business including makeup artist Paddy McGurgan, Photographer Khara Pringle, Hairdresser Andrew Mulvenna and Stylist Eve Brannon. This one of a kind fashion extravaganza is in conjunction with The Outlet Village and will display the latest from the Autumn/Winter collections which can be purchased there at a fraction of the retail price! There will be two events which will include catwalk shows and workshops and the coveted front row seats will be reserved for the youngsters in attendance so they can get a taste of how it feels to be part of fashions elite. The aim of this event is to nurture a love of all things fashion in our youth. By showing them some of the creme de la creme of Northern Irish Fashion, the team hope it will inspire them to follow their dreams and discover that you can achieve anything you wish to achieve as long as you have the drive and ambition to do so! The Mum’s of course shall not be forgotten as one lucky lady on the day will be chosen to receive an amazing mini makeover from the premier style team! 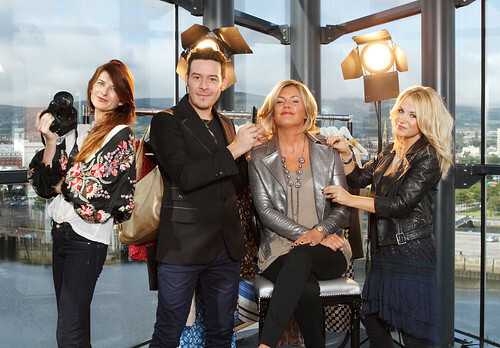 Style Stories Saturday will take place on the 13th of October at 2pm and 3.30pm in w5, Belfast. So if there is a child in your life who is destined to hit the catwalk, be it in person or with their own unique creations, this event is definitely not to be missed! Adult price is £7.90, Children is £5.90 and for students it is £6.40. indeed a great event! Everything looks fab!!! Looks great! Just wanted to wish you the best of luck for tomorrow, have a great night and will see you down there! lovely photos !Plus i like ur header ! Sounds like a great event. Lucky kids who get to attend!